Summarizes discussions and presentations from CEP's "Assessing Foundation Performance: Current Practices, Future Possibilities" seminar. 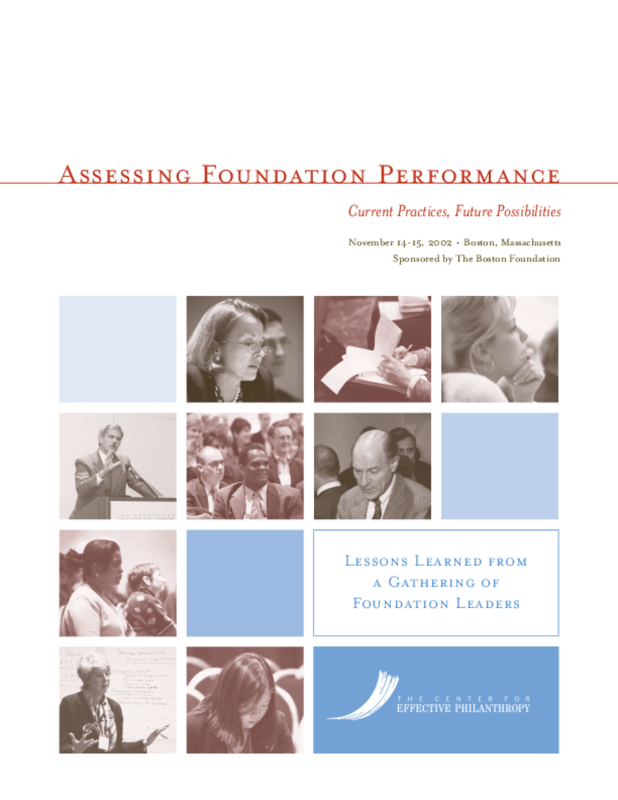 Includes descriptions of the assessment tools used by the Robert Wood Johnson, Fidelity, and other foundations. Copyright 2003 Center for Effective Philanthropy.